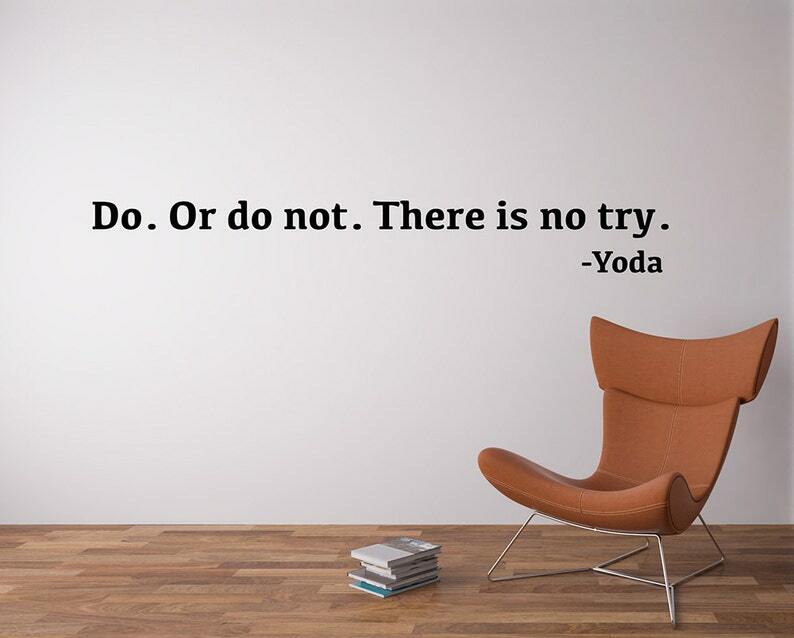 A Star Wars inspired premium quality removable vinyl wall decal of the Master Yoda quote "Do. Or Dot. There is no try. ".